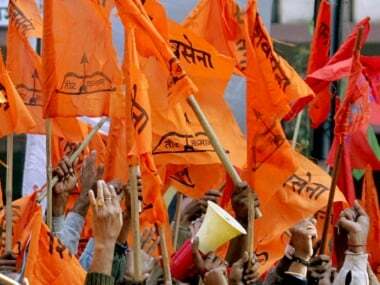 Mumbai: Maharashtra is moving towards "chaos and destruction" due to caste conflict, the Shiv Sena said on Saturday as it continued its attack on the Devendra Fadnavis government over the violence at Bhima-Koregaon village. The Uddhav Thackeray-led party, a junior ally in the BJP-led government, bemoaned large-scale damage to property by protesters during the 3 January bandh in Maharashtra called by Dalit outfits to denounce the violence at Bhima-Koregaon in Pune district. "Dalits are calling for bandh and Hindutvawadi groups are taking out morchas. It looks like Maharashtra is moving towards chaos and destruction due to caste conflict instead of prosperity," read an editorial in the Sena mouthpiece 'Saamana'. 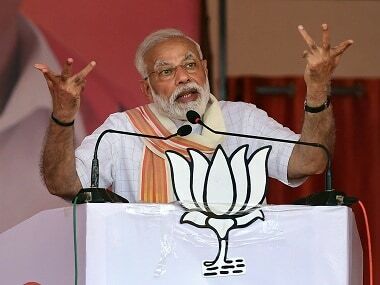 The Sena organ said if the bandh called by the Prakash Ambedkar-led Bharipa Bahujan Mahasangh (BBM) was peaceful, his stature as a leader would have risen. "His followers have become directionless. In Kolhapur, a statue of Chhatrapati Shivaji Maharaj was desecrated," the Marathi daily said. 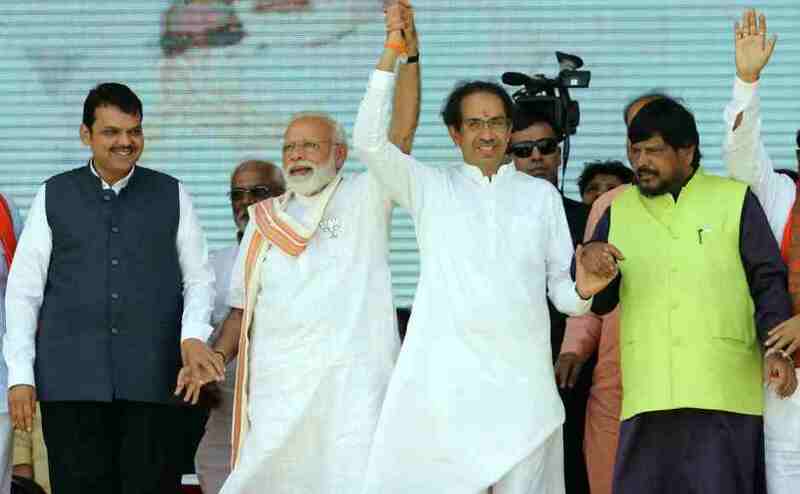 The editorial said the Shiv Sena was showing solidarity with Chief Minister Devendra Fadnavis at the time of caste conflict as it wanted to protect Maharashtra's "asmita" (pride) and ensure law and order. The newspaper said efforts are being made to incite caste violence in the state by exploiting the clashes which took place at Bhima-Koregaon on 1 January. 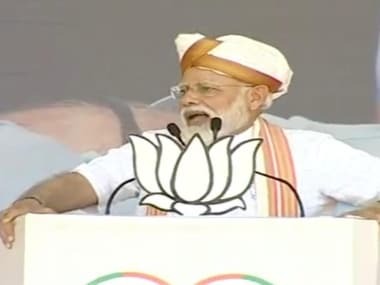 None of the Dalit leaders tried to calm tempers of the community members, who, anyway, were in no mood to listen to them, the BJP's bickering ally lamented. Violence during the state-wide bandh resulted in loss of property to the tune of crores of rupees, the publication claimed, adding the financially bleeding transport body MSRTC alone took a Rs 25 crore hit. "This is not the time to analyse if the caste violence will benefit the BJP or any other party," the editorial read. 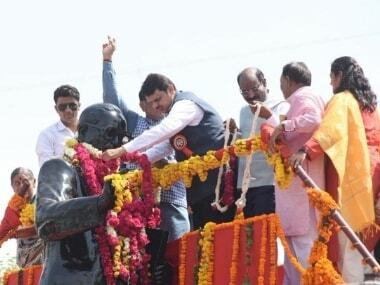 It said the recent events reflected poorly on the state's home department, headed by Fadnavis. On 4 January, too, the Shiv Sena had attacked the Fadnavis government over its inept handling of the violence in Bhima-Koregaon and the subsequent incidents, alleging it had no work except to fight elections using the state machinery. The violence erupted when Dalit groups were celebrating the bicentenary of the Bhima-Koregaon battle in which the British defeated the Peshwas of Maharashtra. Dalit leaders commemorate the British victory as it is believed soldiers from the Mahar community were part of the East India Company's forces. The Peshwas were Brahmins and the victory is seen as a symbol of Dalit assertiveness.